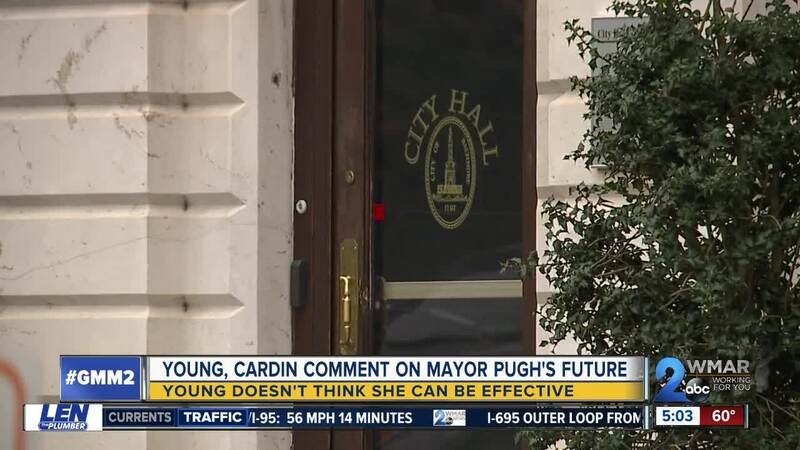 BALTIMORE (WMAR) — As calls grow for Baltimore City Mayor Catherine Pugh to step down, the man serving in her absence is weighing in. "According to all of the folks who asked for her to resign, the last one being the Greater Baltimore Committee, that's the business community, I really don't think so." 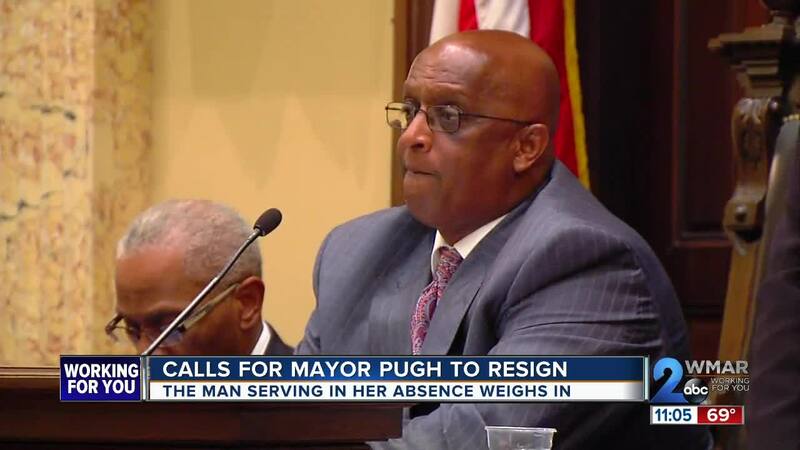 Last week, the entire City Council signed a letter requesting Pugh to resign , saying "The entire membership of the Baltimore City Council believes that it is not in the best interest of the City of Baltimore, for you to continue to serve as Mayor. We urge you to tender your resignation, effective immediately." Hours later, the Baltimore City Delegation announced in an emergency news conference that they fully support the city council's letter asking for Pugh to resign. Thus far, Pugh has resisted the calls. Her spokesman has said the Mayor will return to work as soon as her health allows. On April 1, Pugh took an indefinite leave of absence , citing her battle with pneumonia. The move came as the controversy surrounding her Healthy Holly book began to grow, with even Governor Larry Hogan calling for a criminal investigation . "Baltimore needs leadership. Baltimore needs to support the Ex-Officio Mayor and doing everything we can for economic growth. For the image of Baltimore I think it's important to move forward." For the latest and most up to date news on the Healthy Holly controversy, click here .